Ovarian cancer is a relatively rare disease, but is the fifth leading cause of cancer-related death among American women. A number of factors contribute to the unusually large number of fatalities associated with the disease. Most notably, the symptoms of ovarian cancer are generally vague and are frequently attributed to other conditions, delaying a correct diagnosis. 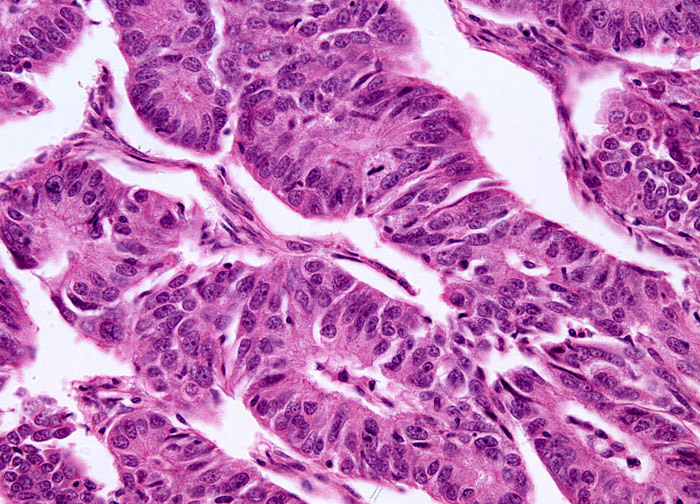 The symptoms of this type of cancer may include various gastrointestinal complaints, such as indigestion, gas, bloating, and nausea, as well as abdominal or back pain, abnormal vaginal bleeding, a feeling of heaviness in the pelvic area, ascites, and unexplained weight gain or loss. By the time signs of ovarian cancer become palpable, the disease has usually already metastasized to the bladder, bowel, or uterine tissues. Because symptoms of ovarian cancer are so non-specific, there has been a significant amount of interest in developing a useful, cost-effective screening method.